During the 1970s, The Mission found its rise due to the lively punk nightlife that started to take over the area. As the ’80s passed, the area became home to more immigrants from Central America, the Middle East, and South America. They had been forced to flee due to political instability and civil wars going on in their homelands during this time. 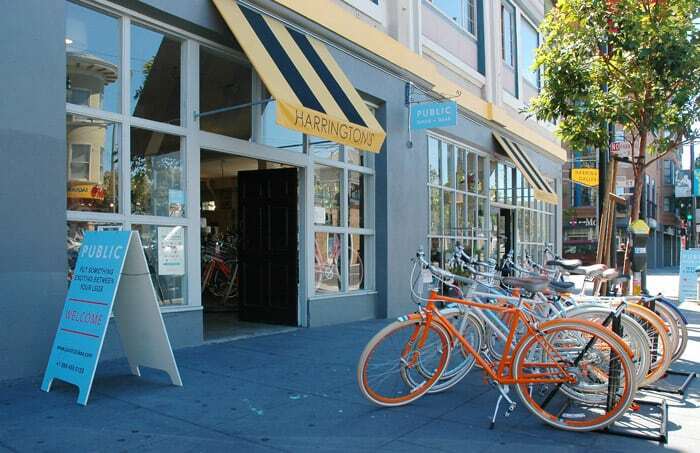 Since the dot-com boom, the area has become populated with young urban employees. This has forced a lot of the working class Latino community out because of the competitive house prices and extremely high rent. Located to the west of Potrero Hill and just south of SoMa, the Inner Mission is, in true SF tradition, laid back and artsy, sophisticated and worldly, and just a bit rebellious. A booming interest in the neighborhood met by a plethora of brand-new residences. 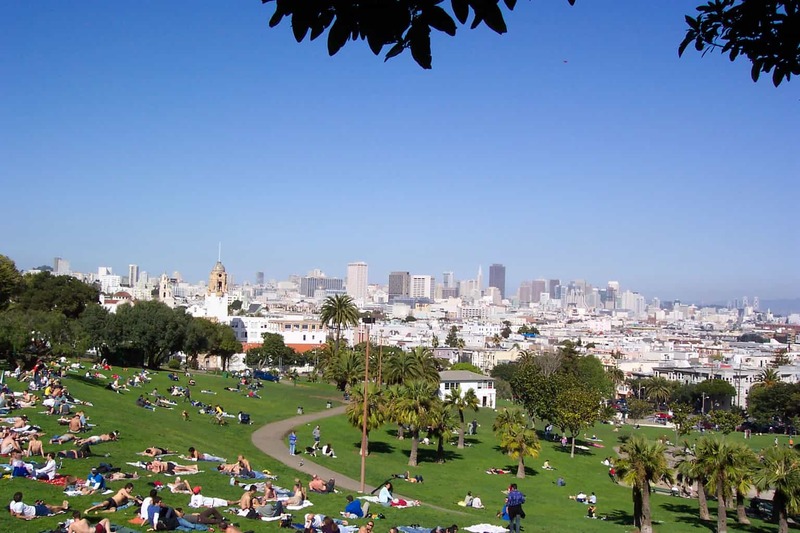 Beginning in the 1990s, Mission Dolores’ inexpensive real estate was irresistible to tech workers, young families, and newcomers to the city. 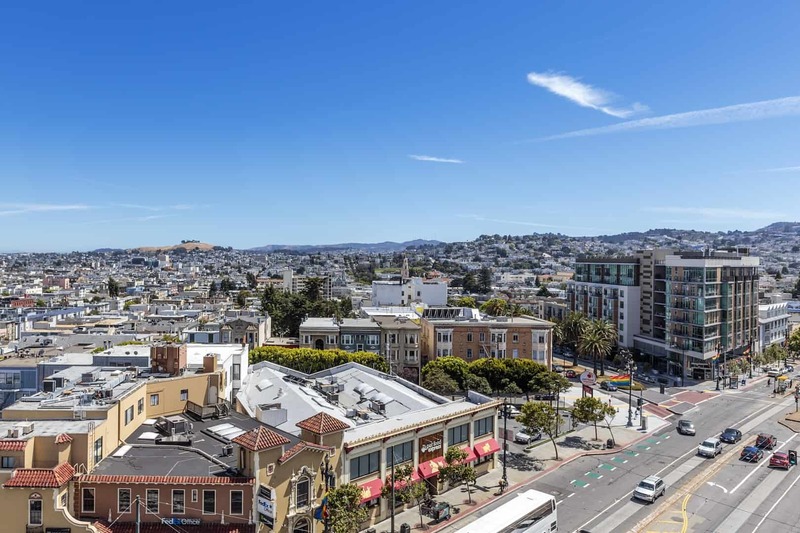 Today, Mission Dolores is positioned slightly above the regional norm, with a median home value of just under $1.3 million. Dolores Park: Local residents mentally divide Dolores Park into two distinct worlds. In the bottom half you can play tennis or soccer or walk your dog. In the upper half you can relax and get a stunning view of the city and the East Bay. For a truly unique experience, head to chef David Barzelay’s ticketed Lazy Bear in the Mission. The convivial nature of the event and the simultaneous service evoke a dinner party, but comparisons to your friend’s house stop there. An evening at the restaurant kicks off with a cocktail hour of passed appetizers in the mezzanine before you head to the loft-like, yet cozy dining room with communal seating at two long, live-edge oak slab tables. Chefs deliver the modern American dishes like grilled lamb with spring herbs to the table themselves and invite guests into the kitchen to peer over their shoulder while they work. While the beloved brunch, flickering hearth and nightly movies continue, Gayle Pirie and John Clark are keeping things fresh at their Mission standby, with North African and Mediterranean menu leanings and a deepened wine program. It’s one of the city’s most romantic restaurants, with staggering decor and engaging food, including the ever-popular Madras curry-sesame fried chicken with chickpea hummus, Moroccan carrots, and radicchio salad, and ice-cold raw oysters. It wouldn’t be San Francisco without The Mission’s squadron of gut-busting taquerias. This one continues to lead the pack with unwavering rave reviews for its sublime, spot-on Mexico staples, including an America’s Best Burrito title, and a deep-dive via Eater Elements. The carnitas here are the best around. The stunning, polished decor of Californios is matched only by its very precise, intricate food. Chef Val M. Cantu (Sons & Daughters) has created a stylish prix fixe menu that offers Mexican flavors embedded in a Californian tasting experience. Delicate dishes with layers of flavors are the order of the day, accompanied by small-production wines from Charlotte Randolph (The French Laundry). Rintaro feels a secret hideout in the Mission, with a lovely front patio guarded from the street by a bamboo fence. Enter, and find an inviting, wood-clad izakaya from Chez Panisse alum Sylvan Brackett, whose menu lures in a stylish, bustling crowd. Gyoza, yakitori of all kinds, pristine sashimi, and the platonic ideal of fried tori katsu (fried chicken stuffed with Cowgirl Creamery cheese) are all on order. Sit at the bar to watch chefs deftly turning skewers of meats on the grill while drinking sake or Japanese beer. Tartine Manufactory scratches all the itches, starting with excellent coffee from its own brand Coffee Manufactory, bread, and pastries in the morning and moving on to an airy light-filled lunch experience, complete with porchetta sandwiches, grain bowls, and smørrebrød. Dinner brings more hearty versions of Tartine’s aesthetic, including pork ribs with pumpkin seed salsa and yogurt, and an eighteen-ounce dry-aged ribeye with chanterelles, paired with wines selected for quality, sustainability, and diversity. At all hours it’s a lively Mission spot filled with locals eating, bakers baking, and seekers of beautifully lit Instagrams hard at work.